Begin your circle time by reading a book about carrots and gardening, The Carrot Seed by Ruth Krauss. After the story, move onto activities that will enhance your preschool lesson on carrots that are included in this article. 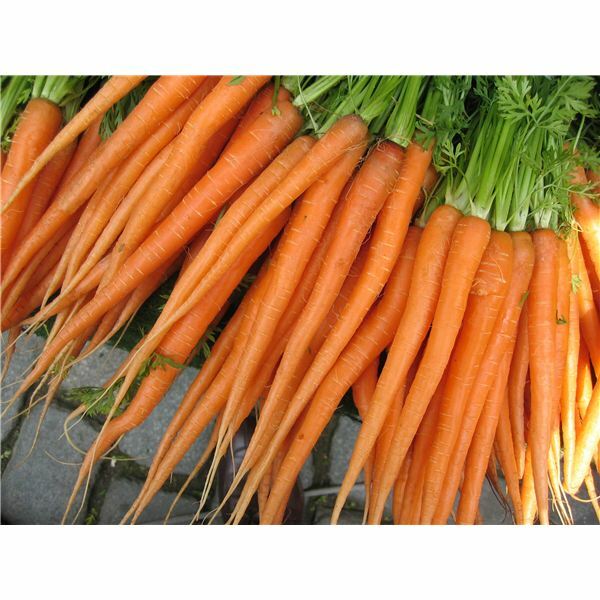 The carrot is one vegetable where the root is the edible part of the plant. Show the children a carrot and point out the orange root we eat and the green leaves that grow on top of the ground. Ask the children if they like carrots? Do they like them crunchy or cooked? Bring in some carrot pieces, some raw and some cooked. Encourage your group to nibble each type of carrot and cast their votes in this activity. Make a poster with three sections: one with a picture of crunchy raw carrots, the next with a dish of cooked carrots and the last section with an unhappy face meaning they don’t like carrots at all. Next cut out orange carrot shapes and print each child’s name on them. After the taste test, invite each child to tape his/her carrot on the graph to show their preference. After all the votes have been cast, count the carrots in each column and compare the totals. Talk about other ways carrots can be served (carrot strips, carrot slices, shredded carrots, boiled carrots, and mashed carrots). Carrots can be used for counting. Bring in a basket of carrots and invite the children to count how many carrots are inside. Carrots can be used to discuss sizes. At snacktime, give children a paper napkin with three carrots in different sizes drawn on them. Pass out carrot sticks (which you have precut into these sizes). Have the children match the carrot sticks to the ones on their napkins. Talk about the biggest, middle size, and smallest carrot. Use pictures of growing carrots to discuss the concepts of above and below. Use carrots to introduce the colors orange and green. Use the carrot for classification activities. Have the children name other orange fruits and vegetables. Do these fruits and vegetables grow above or below the ground? Invite the children to make carrots from orange play dough. Plants, like humans, need certain elements for their survival. Plants need food, sunlight, air and water to grow. Turn an old carrot into a science activity that will teach children how plants grow. An adult needs to cut off the top of a carrot and trim off any leaves. Invite the children to place the carrot in a layer of small pebbles that are lined in a flat dish. Pour in water up to the level of the carrot. Make sure to keep the carrot well-watered and encourage the children to watch the green top grow. Use a ruler to measure the growth over time. Create a 5-carrot family for children to use as finger puppets. Cut out small carrot shapes from orange construction paper and instruct the children to give each carrot a face using a black crayon or marker. Roll a piece of tape and adhere each carrot to the child's fingers. Use this carrot family to act out this rhyme. Long and orange and round. You'll find them still in bed. Out come their orange heads! What color is the carrot? How does the carrot grow in the ground? Which part is above the soil and which is below? Which way do you like to eat carrots? Cultivate your classroom with this lesson plan and build upon this fun with carrot crafts found here on Bright Hub Education. Here you will find preschool activities on carrots for a carrot theme, including a carrot craft, the Carrot Seed lesson plan, and a preschool lesson on carrots! Use these carrot activities during a whole carrot theme or unit!